Another favourites posts for all you lovely people. I feel like this one is going to be quite short and sweet. In all fairness, over the past month or two I haven’t changed my makeup routine or lifestyle that drastically from when I posted my March favourites. I did however write a post about some new products to give you the glow for the upcoming summer months. Go give it a read! There’s just these few products that have literally changed my life. I feel like some people may roll their eyes and call me out as being dramatic (Me? Never….) but just hear me out, and then go try them for yourselves! First up is The Body Shop ‘Drops of Youth, Youth Liquid Peel.’ Guysssssssss. Honestly. This product is insane. I truly believe its revolutionary. It’s such a gentle gel formula that once you start rubbing it in circular motions onto your face, it literally traps and peels off all your dead skin. It turns all your dead skin into little clumps on your face (not as horrific and morbid as you think) which can then be easily rinsed off. It’s a mini facial in a bottle for £18 and then you’re left with the softest, smoothest, brightest skin ever. Even after one use I was amazed and now that I’ve been using it on average twice a week for the past month, I’ve been so impressed with the quality of my skin – especially since I deal with eczema on my face from time to time. I was weary at first because I thought it would perhaps sting my skin and not be healthy/practical for me to constantly take a layer of skin off my face but I can honestly say hands down it’s the best money I’ve spent all month. For £18 you get a 145ml bottle and you only need a 1p sized amount for it to work. Incredible. I’ve been obsessed with The Body Shop products for a while and I love their passion and ethos towards really good skincare. Go Body Shop! 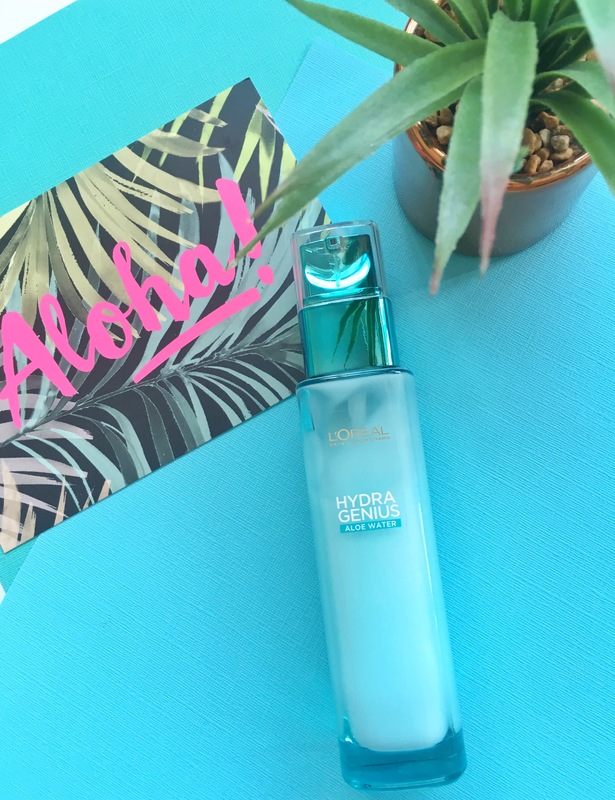 The next product that has literally revolutionised my skincare routine is the L’Oreal Hydra Genuis Aloe Water for Dry & Sensitive Skin. At first I thought it wasn’t going to do anything – my skin seemed to drink it in so fast that it would feel dry pretty much straight after – which resulted in me then applying my normal everyday moisturiser afterwards. However. After regular use and side by side with the Body Shop Liquid Peel, I am in LOVE. My skin feels so smooth and soft after applying and it really does feel hydrated. It’s so light and I’ve realised how great it is to have a product that sinks into the skin so fast instead of sitting heavily on top of my face as the majority of creams I’ve tested in the past have. (However, there are times within the month when I do reach for the thick, emollient type creams for when my face has a flare up. What can you do hey?) All in all, I’ve been using it every day for just under a month and I’ve been absolutely loving it. It’s made with aloe aera and to me it just smells amazing – like summer in a bottle. Try it! You can get it from Boots/Superdrug. 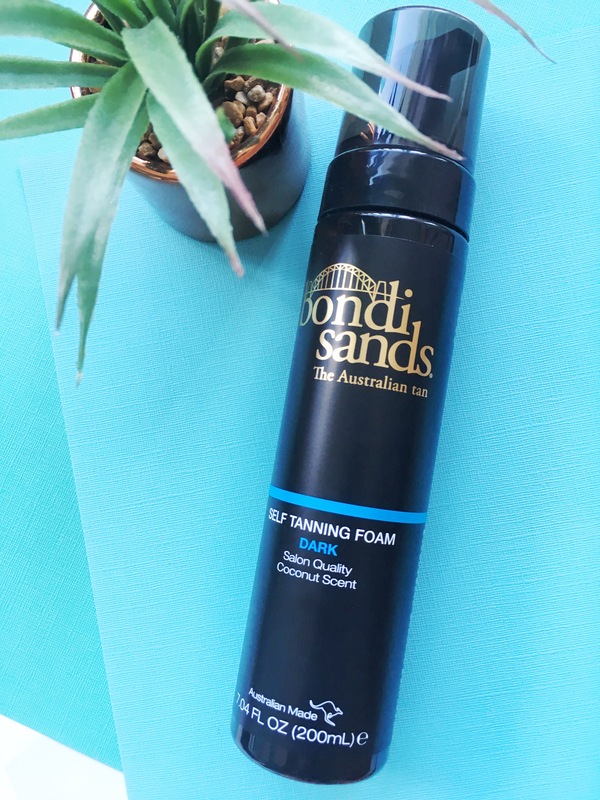 If you want to tan like a boss then trust me when I say you need Bondi Sands Self Tanning Foam. I don’t know why it’s taken me so long to try it! I went for the dark version (there’s also a light/medium) because I just wanted to be a deep bronzed colour for the up coming summer months. It’s amazing. It smells really sweet like coconut (I personally love that smell but I know some people don’t) and dries instantly and develops as time goes on. What I love about this tan is how evenly it fades over time after every shower. It doesn’t go patchy and with daily moisturising, one application could last you well over a week. For 14.99 in Superdrug, it’s one of the more expensive tans I’ve bought and I think it’s quite an investment on my behalf but well worth the money! 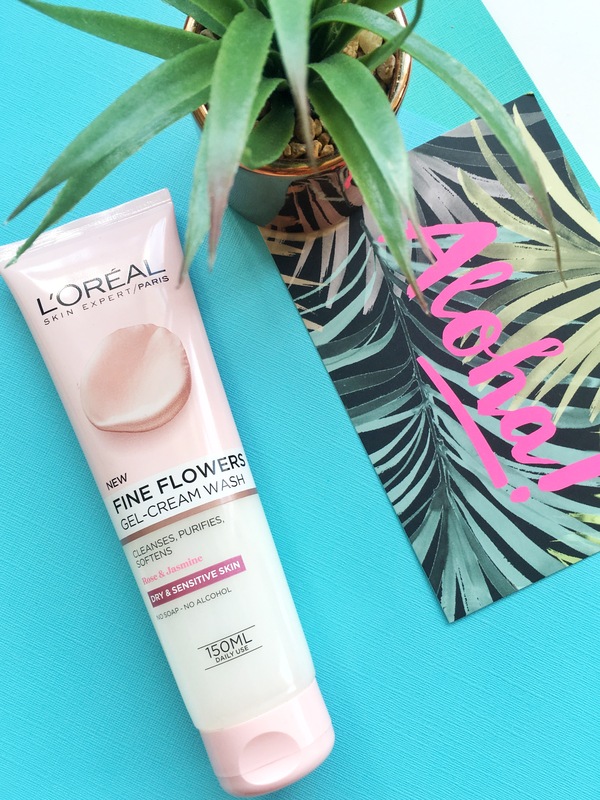 Finally is the new L’Oreal Fine Flowers Gel Cream Wash. I’ve been using this every morning to wash my face and at night when I’ve took my makeup off but before I’ve toned and I absolutely love it. It’s similar to the L’Oreal Clay Gel Wash I mentioned in an earlier post. It’s so so gentle on my skin – it contains no soap or microbeads and it’s left my skin so soft and it’s not drying in the slightest. I don’t normally wash my face in the morning (I just splash it with water) because I’m afraid of over stripping my skin but this has been so so gentle. And thats my monthly favourites! Very short and sweet (for me!) What have you been loving this month? 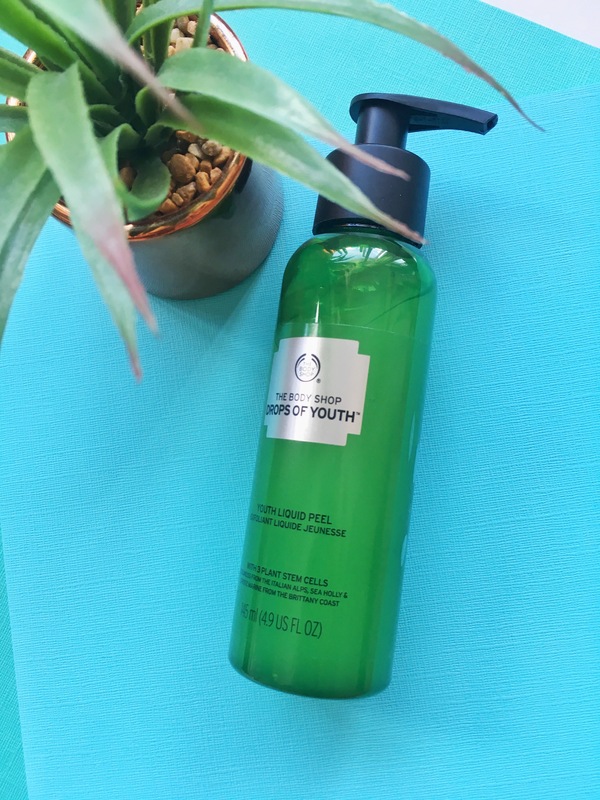 I’ve never tried the The Body Shop ‘Drops of Youth, Youth Liquid Peel’ before but I might give it a go!